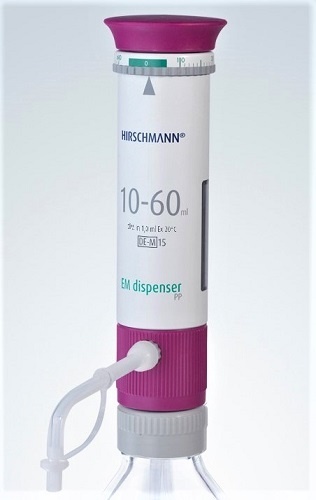 Hirschmann carefully designed a bottletop dispenser that would perform quality dispensing, with reasonable adjustable volume, and maintain durability, without over-extending a laboratories budget. The EM Dispenser PP was the result – a polypropylene construction perfect for non-problematic watery and organic media and a precision-ground glass piston. Adjustment on the bottletop dispenser is easy and precise, allowing users to conveniently operate the unit without sacrificing the accuracy of their work. Furthermore, the EM Dispenser PP was engineered to be compatible with attachments as necessary and includes the tools necessary for users to adjust the unit when they find it needed. 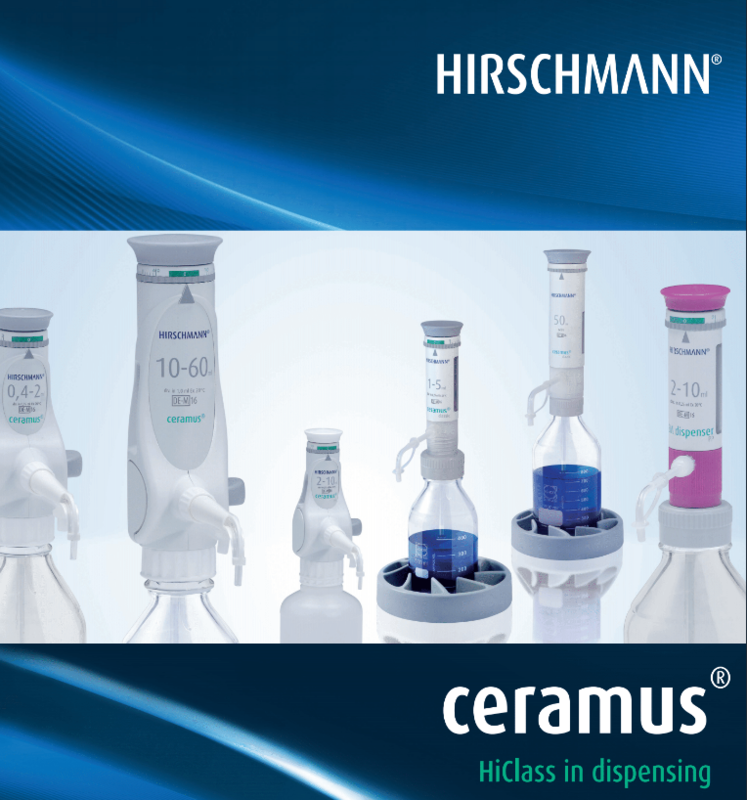 Hirschmann EM Dispenser Volume Graduation Precision (R%) Reproducaibility (CV%) Manufacturer Cat. No. Pipette.com Cat. No. 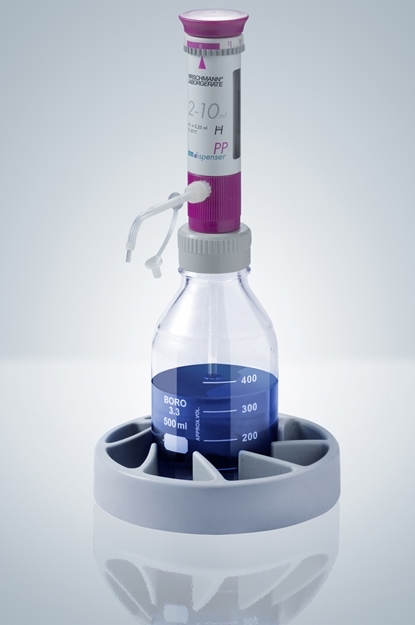 EM Dispenser PP features a polypropylene body that is highly durable and perfect for routine lab liquid dispensing. The dispensing unit is equipped with a precision-ground glass piston for quality operation and durability. The high-quality materials allow the EM Dispenser PP to be rated for up to 121°C steam sterilization. The bottle attachment dispenser is equipped with a 32 screw thread with which to attach to the bottle. The delivery includes 3 threaded adapters for extended functionality. Included with the dispenser is also a suction hose with a union nut, an ejection unit, and a fitting wrench so that users can take full advantage of the product’s capabilities. Hirschmann assigns each EM Dispenser PP a unique individual serial number that can be used to identify the unit within a lab but can also be used to globally reference the specific bottletop dispenser. Furthermore, each bottletop dispenser is accompanied by a calibration certificate to validate the quality upon delivery to the user.